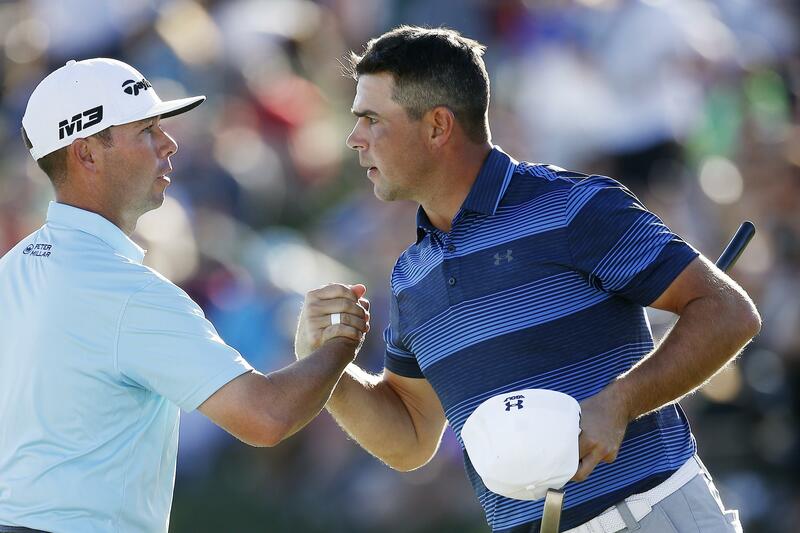 Sun., Feb. 4, 2018, 6:29 p.m.
SCOTTSDALE, Ariz. – Gary Woodland was surprised to see infant son Jaxson with wife Gabby late Sunday afternoon at the Waste Management Phoenix Open. Playing three groups ahead of Reavie, Woodland birdied three of the last four holes for a 7-under 64 – the best round of the day – to finish at 18-under 266. He opened with rounds of 67, 68 and 67 after getting some advice from instructor Butch Harmon. Published: Feb. 4, 2018, 6:29 p.m.